I love the internet! There is so much information right at your fingertips. No flipping pages, no Dewey Decimal System, just straight up imagination and inquisitiveness that gets you where you need to be and gives you what you want to learn! 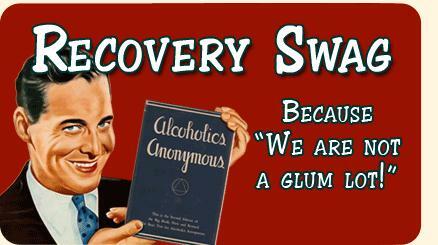 So, today in the spirit of inquisitiveness, I am going to review a few recovery-related websites. The first site is www.recoveryswag.com. The Big Book in A.A. states, “But we aren’t a glum lot…we are sure God wants us to be happy, joyous, and free.” (pg. 132-133) This website is definitely created in that spirit! 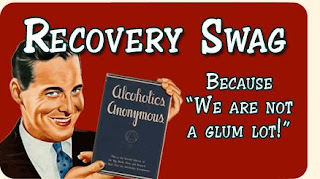 Recoveryswag.com specializes in gifts, clothing, and other collectibles that are recovery-related but with a humorous twist. 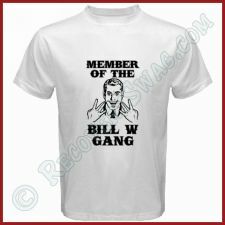 My personal favorite is the “Bill W. Gang” t-shirt. Everyone likes to belong to something because we are social creatures. This is the t-shirt to playfully proclaim your allegiance to A.A. and its founder Bill W.! Be sure to check out the myriad of great products from this hilarious website! The second site I would like to review is www.sobermusicians.com. It’s no secret that drugs and alcohol are pervasive in the music community. The list of musicians who died too young includes Jimi Hendrix, Janis Joplin, John Bonham, Keith Moon, and many, many more. I love the tag line of this website which reads, “Addiction plays for keeps…so do we”. Part of recovery is learning to adopt healthy habits and hobbies. This is a great site for veteran musicians or wanna-be rock stars who never took the time to learn how to play because drugs and alcohol were too time consuming. Go ahead, unleash your inner rock star, you know you want to!!! The last site I would like to review is www.soberteensonline.com. Drug and alcohol use now start as early as 12 years old (some even younger) in today’s youth. It is so prevalent among college students that The Princeton Review releases an annual “Top Twenty Party Schools” list for the discerning higher education party-goers! Thus, soberteensonline.com! It is a safe place in cyberspace for tweens, teens, and twenty-something’s to network, chat, support, and learn about drug and alcohol addiction. This age group lives through the internet so it is great that such a resource exists. Help spread the word! I like to close our time together with this quote. It comes from the Sober Teens Online website. It is very simple but so powerful. It is, “Living Life Lucid.” The word lucid is defined as, “characterized by clear perception or understanding; rational or sane” (dictionary.com). The idea is that life is meant to be lived in full awareness, full perception, and full understanding. DUH! But for many addicts that idea is not so obvious due to the pain that life has thrown their way. For many of them, being lucid equals being in pain and suffering. However, if they are willing to take a step of faith into recovery, they will find the joy of being aware of, perceiving, and understanding all the good that life has for them if they will stay sober one day at a time with the help of others! At The Coleman Institute, we believe that substance abuse is no joke! We take getting clean very seriously. However, we believe that once a person gets clean and stays clean, then they can join the group of recovery folks who are, "not a glum lot"! If you or someone you love is in need of detox from opiates, alcohol, benzos, Methadone, or Suboxone, please do not hesitant to call Jennifer Pius at 1-877-77-DETOX (33869). We are here to help you and yours get clean and stay clean!